Nine years after a D.C. woman was found strangled in her apartment, the Metropolitan Police Department is trying to stir up interest in the case in the hope of finding new leads. Nori Amaya co-owned the Italian restaurant Coppi’s with her brother, Carlos. She was a fixture there, remembered for her vibrant smile and spirit. After working a shift on Halloween 2009, the 38-year-old went out to have some fun. "There was talk that she had visited a couple of locations and maybe parties, etc., on that day,” D.C. police Capt. Anthony Haythe said. She eventually made it home. Security camera footage shows her walking into her apartment building in the 3600 block of 16th Street NW. 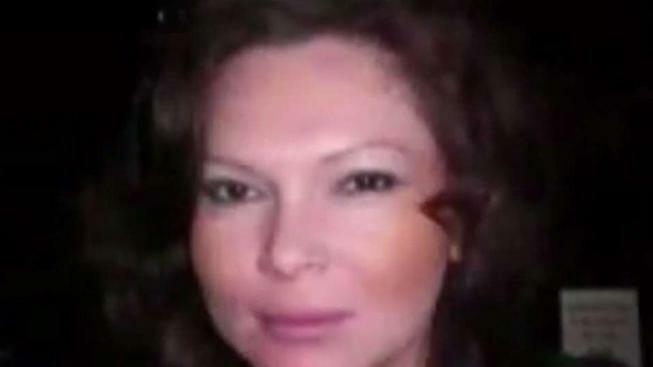 When she didn’t show up to work, Carlos Amaya, went to check on her and made the gruesome discovery she had been strangled. Police recovered DNA from the scene and interviewed people — some multiple times — but they keep coming up short. “To this point we still have not gotten enough information to reach the point of making an arrest in this case,” Haythe said. Amaya said with all the time that's passed, he feels the case has lost steam, and that weighs heavy on him. "We think that she’s in a better place, and that’s what we want to think, given that the ones that are suffering are here, so we are the ones that need the healing,” he said. Police are asking the public to think back to that day and that area. Anyone who saw something but didn't think much of it at the time can text a tip to police at 50411. Reported by Erika Gonzalez and edited by Perkins Broussard.